Can you get off the floor? Years ago one of my exercise teachers – a physical therapist, was telling a story about a patient he was seeing. They were doing some exercise on the floor. My teacher told him to get up, then turned around to take some notes. 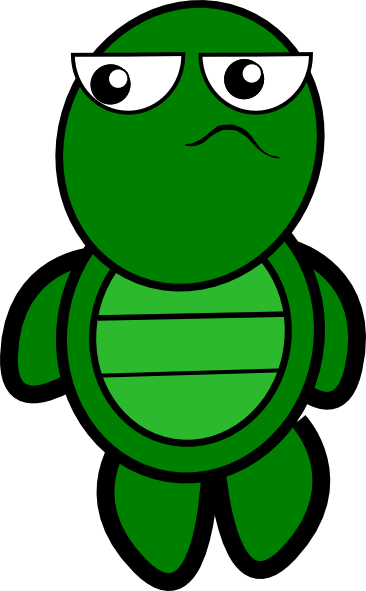 When he looked back he expected the dear Sir to be standing, but when he looked down he looked more like a helpless turtle waving arms and legs around, trying to get up and unable to figure out how to do it. When my teacher asked the patient how long since he’d been on the floor, he admitted it had been more than 35 years, because since his kids grew up, well, there was no reason to go there. My students know that I recommend couch abstinence (scares the heck out of them, even more than high heel abstinence). It’s not that I have some couch phobia, it’s just that the couch has become your place of passive rest for a large portion of your free time. When you look at your life you probably only get on the floor when you come to do a session with me. In the grand scheme of things this means you are spending a large portion of your day using joint angles and ranges of motion that are the same over and over again and you don’t let your body experience any different. Why care? Let’s look at your home. If you only cleaned 1/5 of it every day and you clean the same part every day, eventually the rest 4/5 part of your home will become pretty dusty, and will probably start to smell bad too. Noone will want to go there and eventually you will start losing some friends (all the while gaining some dust mites). Think of your body the same way – when you are only stimulating a small portion of your physical home, other parts of it go dying. In fitness people say: ”use it or lose it”. If you care about the health of your tissues, and the regeneration of every cell, wouldn’t you like for your cells to be getting an equal chance to get blood flow, oxygen, clean out cell waste and get signals from your nervous system? Who wouldn’t want that? This morning I taught my weekly Move Well class at Athlete’s Choice (you can come and try it free anytime!). The ladies who attended, who I love dearly, had heard me speak at an event two weeks ago, and remembered a study I mentioned about being able to get off the floor relating to health and mortality outcomes. Below you can see how the study was done, and listen to beautiful Portuguese while enjoying the subtitles! In the beginning of class I promised we would do some getting up off the floor at the end. What started as guesswork and figuring out which the easier side to get up off was, soon turned into a pretty cool game of getting up. Needless to say, my students were able to learn how to confidently get up. Note: I am not so sold on the no knee get ups and I do like to use kneeling to get up for a lot of things, especially when mobility is lacking, however the video does provide a great goal for most of us to strive for. Now you are possibly thinking one of two things: ”I can get off the floor effortlessly, this is not for me!”. I am glad, and I encourage you to keep exploring whole body healthy movement so you can keep improving. Keeping strength to weight ratio appropriate by also learning how to hang. Now if you are finding getting on and off the floor challenging, I urge to you to start exploring your floor. You can sit on the floor itself or use multiple different cushions and props. It’s ok, just go couch less for a few weeks and write me to tell me how you are doing. 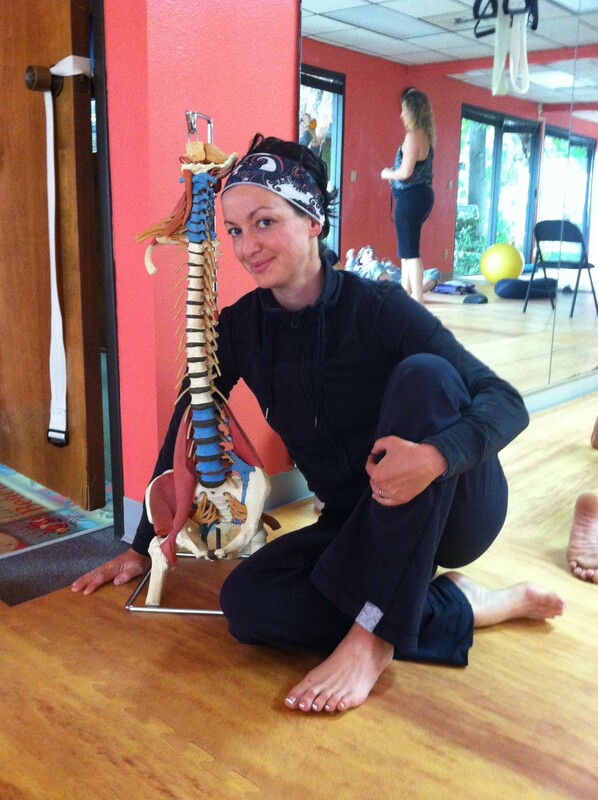 Are you super excited about learning more about this paradigm of loading your body differently? Go here! Move well, and talk to you soon! Categories: alignment, home | Permalink. What are the most common sites with low bone density in the body? Ribs, wrists, hips, spine. In recent months I have seen a number of middle ages clients who got injured doing well intended but improperly planned exercise in the gym, mostly trying to do ”weight bearing” activities to reverse or prevent bone loss. When you think of ”weight bearing” you may naturally think of lifting weights, but honestly, how much exercise can you do in a week? How much energy do you have for it and are you really loading the sites that need strengthening? You can read all about Wolff’s law here, but in short, bones respond to specific loads, not just any load. I invite you to learn more and do more to preserve your bones on May 24, at 10:00 a.m. We will spend a little over 2 hours covering some basic principles of bone loading, as well as learning specific exercises that will help you prevent and reverse bone loss. I only have a few spots open, so you can call me or write me to save your spot. You can see the build your bones workshop brochure here for further information!